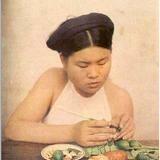 Hanoi Cafe offers a wide range of delectable Vietnamese dishes. The friendly service and relaxed atmosphere make this a pleasant place to dine. 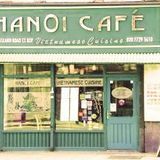 Do you work at Hanoi Cafe? 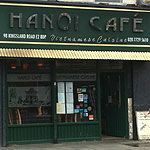 What did you think of Hanoi Cafe? Lovely staff, I have been to this restaurant on four separate occasions and look forward to going back. I love the salt and pepper tofu, the noodle salad bowls are amazing, and I like that it is busy, but not too busy. Much more deserving of a higher rating. Relaxed atmosphere. Avoid at all costs! Food was cold and bland and the staff were rude! A soupcon of Vietnam right in the heart of Hackney. The smudged grassy green facade of this restaurant seems to fit right into this street in Hackney. The rugged right-at-home exterior conceals a less hardy interior, although the colour scheme remains; a long rectangular space is neatly filled with communal rectangular tables and cafe chairs. The decoration is that of a typical Asian family-run eatery - a miscellany of bamboo products, plants and portraits of Vietnam. Sitting at a wiped-down communal table, among the Asian decorations and the sappy soundtrack of Cantonese oldies, one does feel like one has just been transported to a little restaurant in the heart of Vietnam. Like in Asia, the service is prompt and acceptable, although not exceptionally friendly. 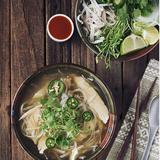 Pick the pho (about £6) or main dishes (from about £5) if you have a big appetite. The Bun Bo Hue (spicy lemongrass beef vermicelli noodle soup) is a good choice; a comforting bowl of warm soup that has all the right kicks to it, plus the right amount of spicy. Although the cubes of beef are small, and smell more like lamb or mutton, they are very tender and chewy. If soup isn't your thing, try the Bun Pho - grilled meat served with vermicelli, salad, fresh herbs and tangy sauce. And if all these are still not enough to pad your stomach, roll your own summer rolls from £5.50. There isn't as large a variety of drinks as food. 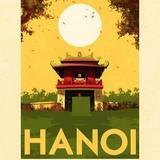 Beers are offered at about £3 per bottle, except the Hanoi beer which is priced at about £4. Mineral water is about £2 for a small bottle, although they do serve tap water if you ask. Soft drinks are cheaper at £1.50. The cafe may be small, but the menu is packed with honest-to-goodness dishes, some of which are rarely available outside Vietnam.